One weekend, I visited the Hunter Valley. Along with wineries and cheese shops, I also made a stop at the local antique store and found lots of old movie lamps, clothes trunks and even a very large stuffed polar bear! 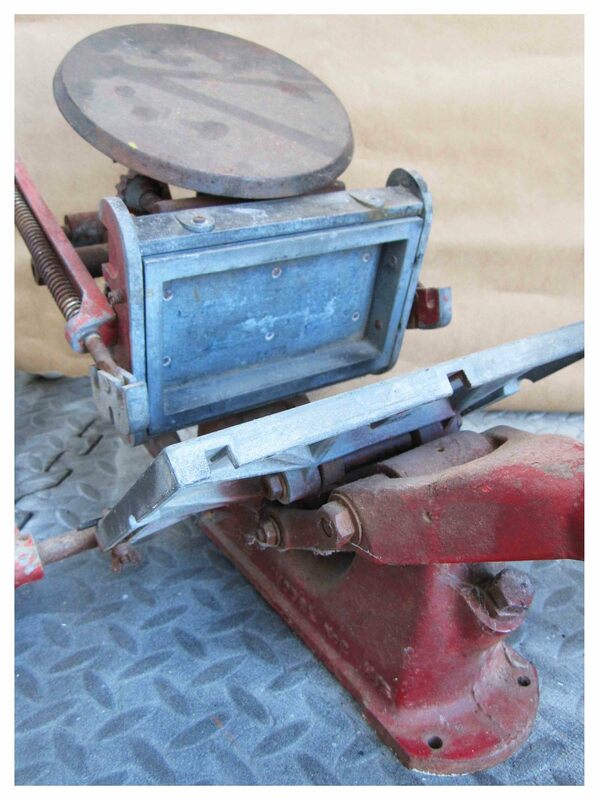 But what was most exciting, was finding a dusty old Adana letterpress machine on the floor, in the corner with a bargain price attached. Some parts are missing and it's very rusty, but with a bit of elbow grease from the help of a lovely volunteer at home, I am hoping to get it back into working condition. Letterpress is an old craft that has seen a resurgence in recent times. The process involves the surface of a raised plate being rolled with ink and then impressed deep into lovely cotton paper, leaving a pressed in effect. Each colour requires a separate plate and each sheet of paper is manually feed into the press. Letterpress creates a beautiful tactile impression for printed pieces that has become popular again for wedding invitation sets.